As laptops are getting more and more powerful every day, using them for everyday work instead of a desktop PC has become a standard. Having the ability to do work in a DAW wherever and whenever is a very useful thing, especially now, when you can record and produce high-quality material just with a few essential pieces of equipment. However, finding the right laptop for this kind of work isn’t easy. What to look for? Screen size? Battery life? How much RAM? By having these, and a couple of other specs in mind, we filtered the truly vast selection of laptops and compiled a list of 10 of the best laptops for music production you can currently buy. Apple has been known for their high- quality devices. As the go-to choice for many graphic designers, programmers, and music producers, let’s see just what the MacBook Pro has to offer. With its razor-thin design and overall compact dimensions, this laptop truly redefines the word portable. Recording and producing music is made very enjoyable on the 15 in retina display, which not only displays natural and vibrant colors but also doesn’t strain your eyes as much as other displays. With a 2.9 GHz Intel Core i7 Quad-Core processor, even the most demanding programs and recording sessions are dealt with without breaking a sweat. The fact that the MacBook Pro has 16 gigs of RAM and a 512 GB SSD makes it one of the fastest laptops out there, at least in this form factor. This means that you can really throw a crazy amount of different samples, and work with a bunch of tracks and channels and you won’t see it stutter. Offering about 10 hours of battery life, this laptop is able to pull through even your busiest days without needing to be plugged in. If you have a bigger budget, and like the feel and usability of OSX, the Macbook Pro is your best choice when it comes to choosing a recording studio computer. In our opinion, this model is by far the best MacBook for music production you can get. 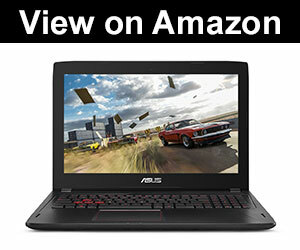 Is Asus a good laptop brand? Well, according to the number of people using their portable computers, they’re definitely doing something right. Though the Strix GL753VD is coming from the ROG (Republic of Gamers) series, it definitely has a lot to offer from a music producer’s point of view. Coming in with a 1.2 in a slim design, this laptop is easily managed even in the most cramped up studios. A 17.3 in full HD display makes working hours in your studio a crystal clear and enjoyable experience. Asus included an Intel Core i7- 7700HQ CPU for maximum performance. Any program you wish to use will find this choice more than enough to work with. At this price point, 16 GB of ram is a must have and complements the processor quite nicely. With a choice of 1 TB HDD or a combination of 256 GB SSD and 1 TB HDD, you can’t go wrong. Personally, we would opt for the second option, as 256 gigs of SSD storage is usually enough for the OS and most commonly used programs. Connecting various devices won’t be an issue, as the Strix GL753VD offers 2 USB 3.0 ports, 1 USB 2.0 port, as well as a LAN and HDMI port for connecting it to a bigger display. Having all the important features good laptops for music production should, the Strix GL753VD shows that it’s much more than a gaming device. Whether you plan on using it as a studio laptop, or as a mobile DAW device, its performance won’t disappoint you. Acer has been on the market for quite some time now, providing their customers with high-quality devices. But how do they perform when it comes to music production laptops? As the Aspire V17 rocks a 17.3 in UHD display, as well as a 6th gen Core i7 CPU by Intel, it’s clear that this is a serious machine. 16 gigs of RAM and a 512 GB SSD offer more than enough memory and storage space for the most crucial software packages. Though you may want to get yourself an external HDD for all those personal files and finished recordings. As laptops can heat up quite a bit and relatively fast, Acer included a DustDefender cooling system, which not only keeps your laptop at an optimal working temperature but also removes particles of dust, while at the same time not being too loud. A backlit keyboard is a cool feature which, besides the overall futuristic design, serves a useful purpose, as using the keyboard in the dark is much more convenient. With a battery that offers around 7 hours of usage, the Aspire V17 lands in the mid-range when it comes to battery life. 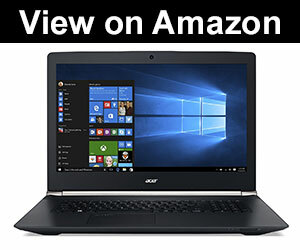 From a music laptop point of view, the Aspire V17 Nitro Black Edition has most of the needed features and specs covered. Besides the potential lack of storage space, it makes for a very good studio computer. Coming from Dell, it’s no wonder why we found the XPS9560 to be the best laptop for music production. 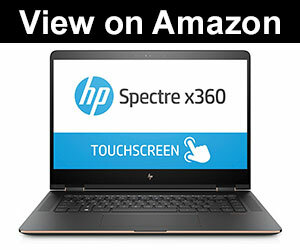 The 15.6 in 4K UHD InfinityEdge touch display that this laptop features may seem like an overkill for a recording computer. However, having that additional touch- screen option really comes in handy when operating multiple parameters inside different DAW programs. A core i7 processor and 16 GB of RAM coupled with 512 gigs of SSD are practically a must-have in any device we consider as the best laptop for making music. Having that much power, and a high- quality screen with a 4K resolution has a great impact on battery life. With only 6 hours of usage, this model doesn’t exactly fall into the category of laptops that can pull out a whole day of work. With a Thunderbolt 3 multi-use port, you can connect a myriad of devices to this laptop, and with a data transfer speed up to 40 Gbps, all those huge audio files can be backed up in no time. Putting the slightly below- average battery life aside, the Dell XPS9560 with all of its premium specs stands as your best choice when it comes to music production. 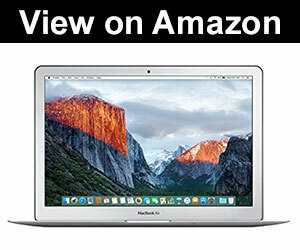 Another great option for Apple product enthusiasts who don’t wish to spend that much money is the MacBook Air. Offering only a 13 inches display, the MacBook Air lacks in usable screen area, but compensates in overall mobility and portability, making it one of the best laptops for recording music on the go. The newest version of this laptop features a 1.6 GHz Intel Core i5 CPU, with turbo boost up to 2.7 GHz. The fact that it’s not an i7, and that it only has 8 gigs of RAM has an impact on the overall performance, but not enough for it to be a dealbreaker. As we’ve seen with the MacBook Pro, Apple knows what they’re doing when it comes to batteries. With around 12 hours of battery life, the MacBook Air is a clear winner in that category. It offers almost double the time when compared with most other, albeit Windows, laptops we review in this article. Though it may not be the best Mac for music production when it comes to CPU and RAM performance, the MacBook Air certainly packs quite a punch. With its amazing battery life and small dimensions, it’s a perfect music production computer for any musicians who find themselves traveling often. 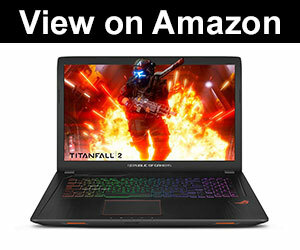 This time coming from Lenovo, we have yet another gaming laptop we find more than capable of performing as a music production PC. The 15.6 in full HD display offers a vibrant and bright image, while not consuming much battery power. There is also a touchscreen option, for which you will have to spend some more money if you find it is a useful feature. The included Intel Core i7 at 2.6 GHz as one of the more powerful CPU options, at least in the world of laptops, couples well with the 8 gigs of RAM and 1 TB of HDD storage. Though 16 gigs may have been a better solution, the affordable price point can’t come with some minor drawbacks. 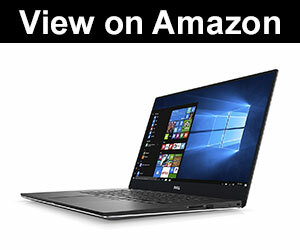 What makes this laptop stand out, however, are the integrated JBL speakers. Combined with the well- known Dolby Home Theater, the sound you’ll get out of the Y700 is realistic and immersive. Though you may find yourself using a pair of headphones while on the go, or studio monitors while in the studio, having a good pair of speakers on your laptop can prove as a useful feature. The Y700 clearly shows that using a gaming laptop for recording music can be a good idea. With a solid CPU and RAM configuration, and amazing speakers, it’s probably the best non mac laptop you can get if on a tight budget. 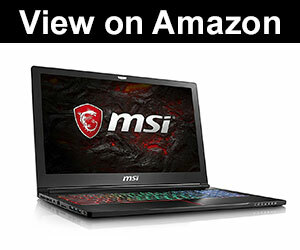 At number 7 we have a laptop coming from yet another well- known manufacturer, MSI. The GS63VR Stealth Pro is a lightweight and thin device, but how does it perform as a PC for music production? As we’ve had the chance to see so far, a 15.6 in display tends to be big enough to comfortably navigate yourself in most DAW interfaces. An i7 CPU and 16 GB being somewhat of a standard any computer for music production should follow through makes this laptop handle even the most resource-heavy tasks. You won’t be needing an external hard drive, as this model offers both 256 gigs of SSD and 2 TB of HDD storage, more than enough for the OS and programs as well as backups and personal files. Featuring a SteelSeries designed backlit keyboard, doing work in the dark is made much easier. It will also fit right in with any MIDI keyboards with backlit pads you might have in your studio. Offering about 5 hours of battery life can be a dealbreaker for some people, but having the dimensions of this model in mind, it’s practically impossible to get more out of a powerful laptop as this one. All in all, the GS63VR while not offering anything extraordinary, stands as one of the best laptops for recording music. Another great model from ASUS, the FX502VM- AS73 with its specifications and features, lands at number 7 as one of the more notable laptops for music recording. Though featuring a core i7 and 16 gigs of RAM, this model offers 2 times less storage than the previously mentioned MSI GS63VR Stealth Pro. That in mind, getting an external drive proves as a good choice, as audio files tend to consume a lot of space. So why should you consider getting this one over the MSI model? 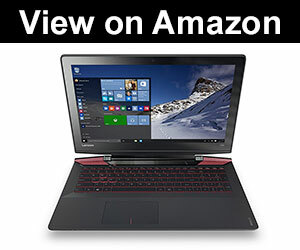 This laptop offers a beast when it comes to graphics cards. With a GTX 1060 with 3 GB of onboard memory, the FX502VM simply dominates when it comes to GPUs. Having a good GPU may not be crucial for a music production computer, but having the possibility of doing some basic video rendering often comes in handy. Whether you’re working on a playthrough or lyrics video, this GPU will definitely get the job done in no time. Proving itself as a slightly more versatile solution, the FX502VM- AS73 is a solid solution, and definitely one of the best computers for music production as well as for video rendering. No laptop review would be complete without the mention of at least one HP model. The Spectre x360 proves to be a good choice when talking about the best computers for music production, as you will soon see. As expected, HP decided to put a 7th generation i7 in this bad boy, as well as 16 gigs of DDR4 RAM for optimal performance when doing recording and production. The 15.6 in UHD display can be flipped around entirely, and as it’s a touchscreen, it offers a great environment when working with DAW that includes a bunch of different parameter controls. Featuring Bang & Olufsen speakers, using the Spectre as a music computer is an enjoyable experience, even when you forget your pricey audiophile headphones. Where the Spectre truly shines is the battery life. Offering around 9 hours of usage time makes it the strongest competitor to Apple laptops. As a very well designed and versatile device, the Spectre clearly shows why it’s one of the best computers for recording music you can get, if not also the best non-Apple laptop. With ASUS producing so many good computers, we had to include yet another of their models. This time, the F510UA is our choice as the best budget music computer. Cramming up good specs in a laptop while still maintaining a budget-friendly price point was no problem for ASUS, as you’ll be getting an i5 CPU at 1.6 GHz with turbo boost up to 3.4 GHz. 8GB of RAM can be enough when it comes to computers for music production, and with 1 TB HDD storage space, it’s a fair compromise. Though the 15.6-inch anti-glare display is a bit smaller, working your way around DAW interfaces won’t be an issue with a 1920×1080 resolution. As expected from a budget-friendly laptop, the battery only lasts about 5 hours, but using it indoors and by an available wall outlet solves this problem. As the best budget laptop in our opinion, the VivoBook F510UA by ASUS shows that you don’t necessarily have to spend above $1000 for a good device for music production. Costing around $500 you’ll be getting a solid laptop with all the specs needed for getting around DAWs. What Features Should the Best Laptop for Music Production Have? Generally speaking, buying a laptop isn’t easy. With a bunch of different spec combinations to consider, you can easily get lost in CPU models, GPU frequencies and screen sizes. Different specs are important for different types of laptop use. In this case, using a laptop for music production requires a couple of important features in order to use the full potential of the machine. As differences between Mac and PC are huge, deciding which one suits you best have a solid impact. Of course, both have their pros and cons, and most importantly, differ in price. Windows PC is a great operating system, widely used by people for different purposes. With a wide variety of different programs, it’s a platform you won’t have problems with when finding a good DAW or similar software packages. However, the main downside of using Windows for music production, as with most other purposes, is that it can be unstable sometimes. The great thing about Windows is that you truly have the freedom of customizing everything you want, whether it’s the hardware or software side. Oh yeah, and Windows laptops are in most cases way less expensive than Mac ones. OSX has been somewhat of a standard nowadays, especially with programmers, visual artists, and audio engineers. Unlike Windows, this operating system is known as a much more stable option. With far fewer bugs and glitches, people tend to go for it simply because of the stability and reliability. 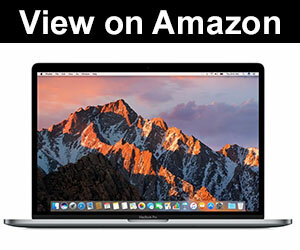 If you are ready to trade more money for almost guaranteed stability, definitely go for a Mac. The CPU, as the brain of the computer, plays an important role, especially in resource-heavy tasks such as music production. As laptops don’t offer the ability to upgrade the CPU, choose carefully. Intel has been known as the go-to CPU manufacturer for quite some time, so going with one of their solutions does the job. An i5 should be the bottom line, with an i7 as an option with which you won’t have any worries. More RAM lets you work with multiple processes at the same time. The great thing about this spec is that you can upgrade it easily when you feel like you need some more power in this department. Using a lot of different samples, or doing recording work with more than a few different channels quickly eats up your RAM. 8 gigs do the job most of the time, but 16 GB is the go-to amount, with which you won’t have to worry about everything running smoothly. If you’re on a tight budget, go for 8 gigs, as you can easily upgrade your laptop with more in the future. Standard hard disks, or HDD-s, don’t operate as fast as SSD-s but are way less expensive. In order to get the most out of your laptop, especially if you go for a 16 GB RAM one, you should at least consider getting one with both an HDD and an SSD. If you opt for only an SSD, do have in mind that SSD-s with more space can be really expensive. A solution to this would be an external HDD on which you will store your finished projects and other files. Having a decently sized screen on your laptop is very important. In order to efficiently get work done, you will need a relatively large workspace on your screen. In our opinion, 13 in is the absolute minimum, with something around 15 to 17 inches as an optimal size. Do mind that laptops with larger screens are bigger devices overall, so portability is taking an impact. A laptop is of no use if you have to plug it in after just a couple of hours of work. Though measuring the battery life of a laptop is a tricky task, as it depends on what you’re using it for, and how resource heavy the programs in use are, we’ve listed the approximate battery life duration for each model we reviewed. Turning the screen brightness down can greatly impact the battery life of your laptop, so keep that in mind when you find yourself working at a place with no available wall output. As you’re using your laptop for music production, you will need some extra ports besides the one for the mouse. Most Windows laptops offer more than enough ports, but Apple laptops can come with as little as two ports. Sure, you can easily solve this problem by using a hub, but that’s yet another thing to constantly have on your mind. The clear winner of our review would have to be the XPS9560 by Dell. With a premium display, amazing connectivity options, and top of the line specs, it perfectly sums up what best laptops for music productions should offer. Apple MacBook Pro performs amazingly well, but the high price point can be a dealbreaker for anyone not ready to spend that much money on a laptop. Honorary mentions definitely go to the Spectre by HP and MSI GS63VR Stealth Pro as more than solid options. There you have it. We hope you enjoyed reading our Best Laptops for Music Production review and guide and found this article useful. I have used an Acer for years and periodically the PC breaks down on me, which has seriously injured my production skills over the last year or two. I think that I am going to upgrade to a ASUS VivoBook instead, hopefully I should have more luck with this laptop.